Do you ever meet such dilemma: want to post a photo to social media, but can’t think of any captions, and have no idea how to make it look fun and smart. 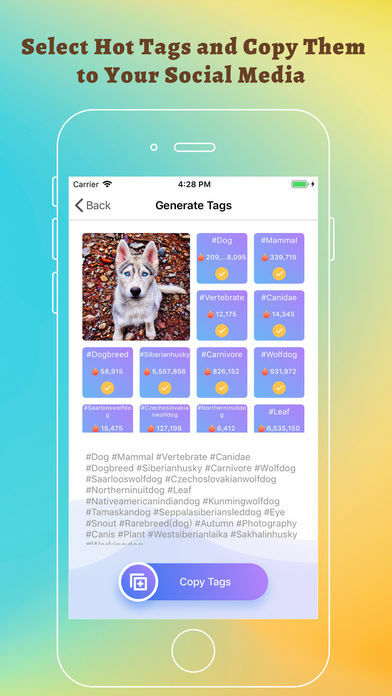 Tired of spending so much of your time creating and typing out hashtags? Our app will also automatically generate them for you. 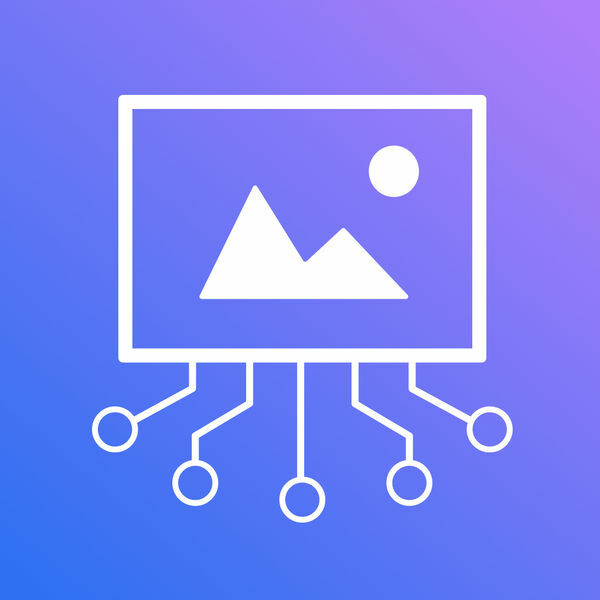 Our technology works much like the human brain, using artificial neural networks to analyze your images and create relevant hashtags. The more relevant hashtags you have associated with your images, the easier you and your images will be discovered. 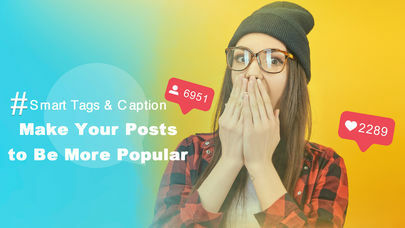 It is a service for generating relevant hashtags for your images before you post them to social networks. 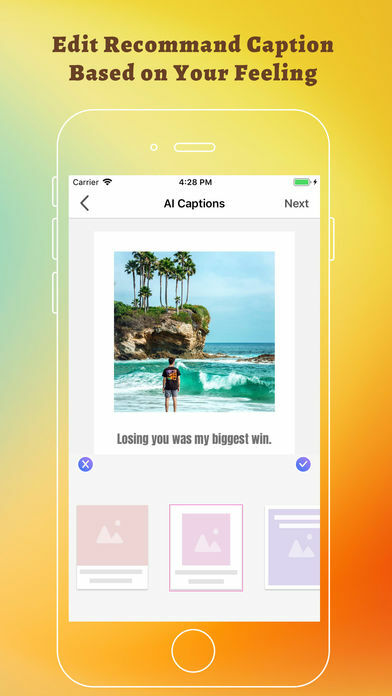 It can recommend relative captions intelligently according to your photo and mood. 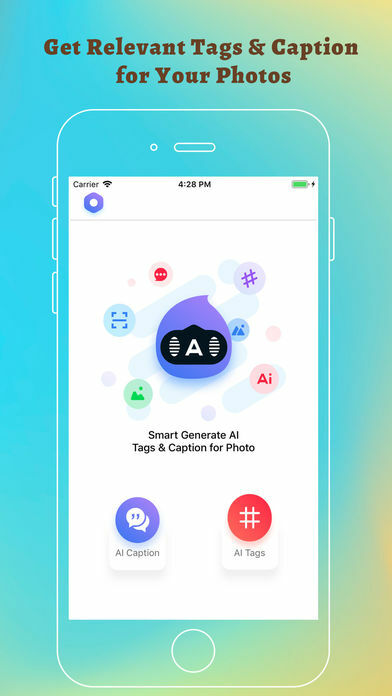 Just select the photo you want to post, Smart Caption will select a caption related to your post and generate an image with caption on it. It will automatically create and copy the hashtags & captions, so all you need to do is paste, then post better posts with better designs.